However, there�s a downside to all of that delicious, flavor-producing sulfur � it seems virtually impossible to chop an onion without crying. Click here to see the 10 Proven Ways to Cut an Onion Without Crying (Slideshow)... Plus learn the right way to cut an onion so it goes much faster! How to Cut Onions Without Crying Buckets of Tears Learn the ONE simple trick to stop the tears when cutting up onions! Want to receive FREE easy recipes, tips and tricks delivered to your inbox every Tuesday? Subscribe to our newsletter for weekly updates you can sink your teeth into.... An easy fix if you have the ingredient on hand, simply cut a lemon in half and then rub it on the blade of your knife before cutting your onion. Note that, you�ll have to refresh the knife by rubbing the lemon on it after every few cuts of the onion. However, there�s a downside to all of that delicious, flavor-producing sulfur � it seems virtually impossible to chop an onion without crying. 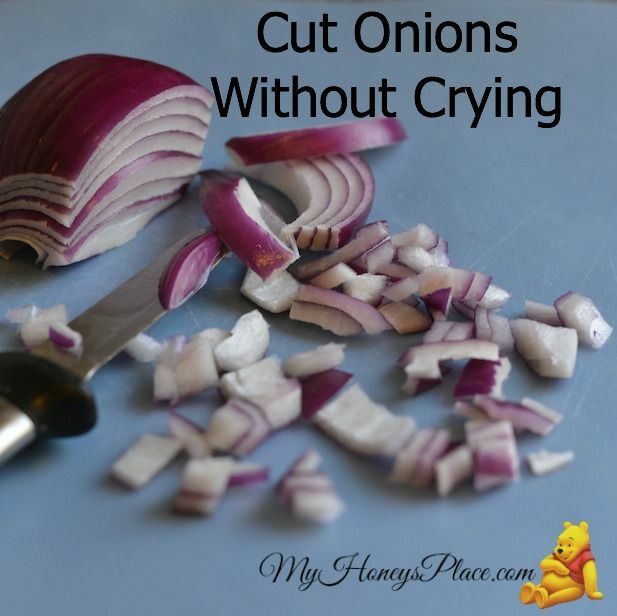 Click here to see the 10 Proven Ways to Cut an Onion Without Crying (Slideshow)... No More Tears � How To Cut An Onion Without Crying 03/14/2016 People crying while chopping onions has been a staple for jokes on television shows and movies for generations. 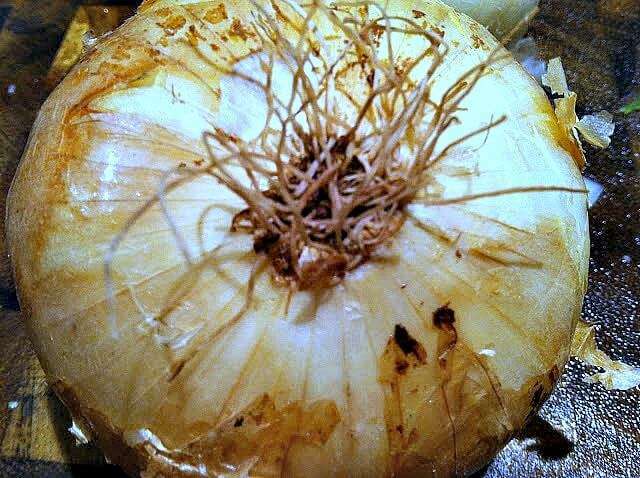 First, you take your onion and cut a largish circle with your knife at about a 45 degree angle around the root part of the onion (the hairy looking part), and then you slide out the bulb, where all the gas and enzymes are that make you cry. How to Cut an Onion Without Crying Daniel Duane demonstrates tear-free onion dicing. CHOW Tips are the shared wisdom of our community. 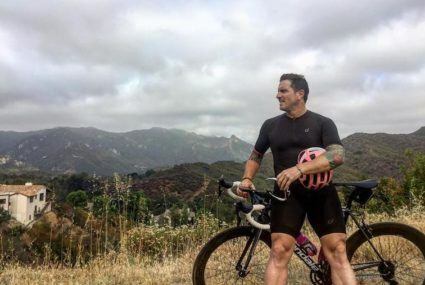 If you�ve figured out some piece of food, drink, or cooking wisdom that you�d like to share on video (and you can be in San Francisco), email Meredith Arthur and tell us what you�ve got in mind. No More Tears � How To Cut An Onion Without Crying 03/14/2016 People crying while chopping onions has been a staple for jokes on television shows and movies for generations. Want to receive FREE easy recipes, tips and tricks delivered to your inbox every Tuesday? Subscribe to our newsletter for weekly updates you can sink your teeth into.